Pray for Credo Mutwa: Family asks SA - SABC News - Breaking news, special reports, world, business, sport coverage of all South African current events. Africa's news leader. Traditional healer, Credo Mutwa is now 98-year-old. 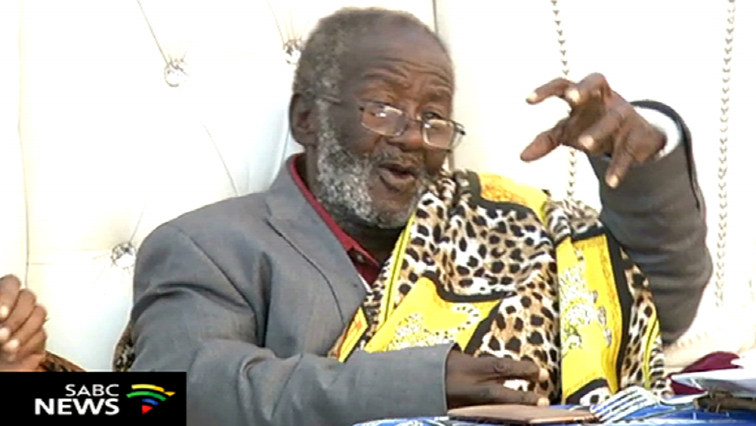 The family of celebrated traditional healer, Credo Mutwa has asked the country to pray for him. The 98-year-old Mutwa is famed for his predictions of historic events in the country, such as the 1976 Youth Uprising. His family says the healer must be given space to age gracefully. The once vibrant storyteller, traditional healer and soothsayer is ageing. Mutwa is respected for his role in advocating the use of traditional medicines and discovering the origins of mankind. He is now in the care of his family in his Kuruman home in the Northern Cape. His daughter, Nosipho Mutwa says the old man is no longer the same person people knew. During his active years as a shaman, Mutwa traveled across the country in search of hidden truths. He was a mentor for scientist and researcher, Michael Tellinger. Mutwa also predicted the downfall of former President, Thabo Mbeki. Tellinger believes Mutwa’s knowledge and intelligence is unparalleled. Family and friends have now formed the Credo Mutwa Foundation to keep his legacy alive and continue teaching those interested in his work. This entry was posted on 26 Jan 2019,06:37PM at 6:37 PM and is filed under Lifestyle, Homepage Latest Stories Slider. You can follow any responses to this entry through the RSS 2.0 feed. Both comments and pings are currently closed.